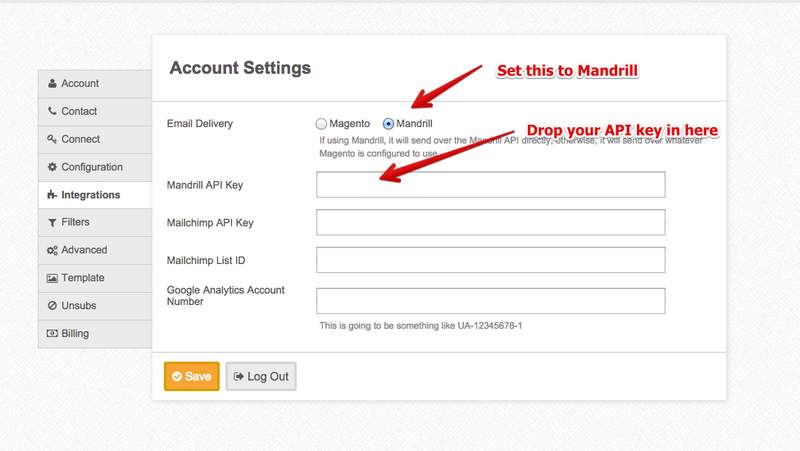 How do you setup MageMail to work with Mandrill? - Helps with deliverability - Provides additional statistics / click / open tracking - Provides information on complaints (when someone marks an email as spam) which is very helpful to determine how customers are responding to email. - It reduces the load on your server because instead of MageMail making an API call to your server to send an email, it goes through Mandrill directly.